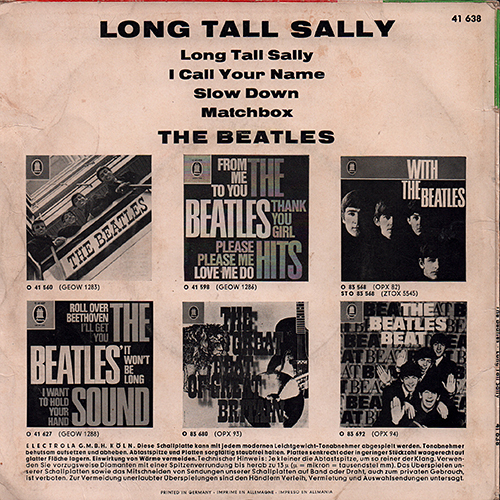 Notice* Click the photo of each EP, so you can see the large picture image. 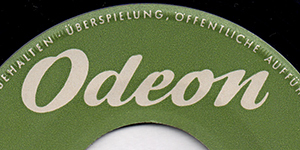 Odeon logomrk and catalog No. 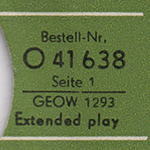 "O 41 560" were printed at the upper corner of the front cover. 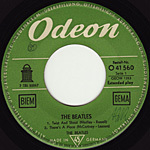 Credited to song writing "McCartney-Lennon". 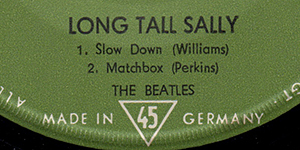 45 in a triangle for 45 r.p.m. 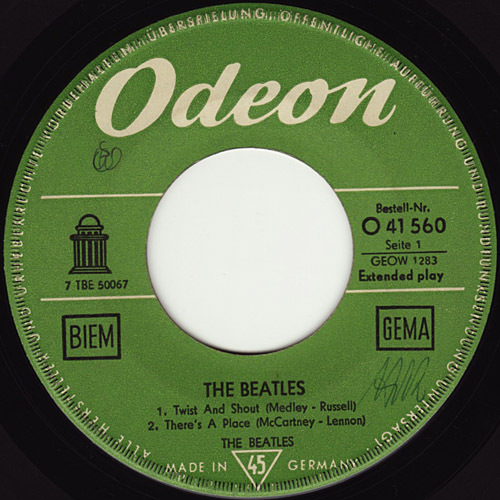 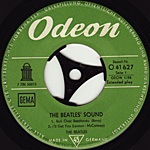 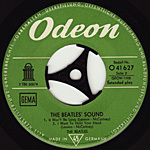 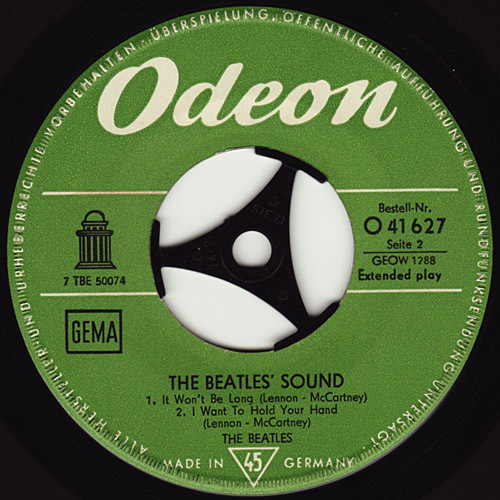 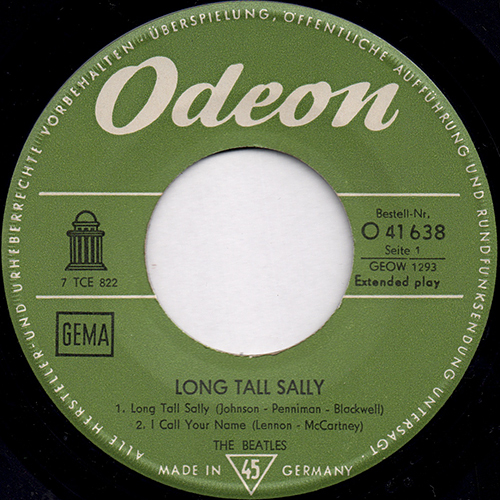 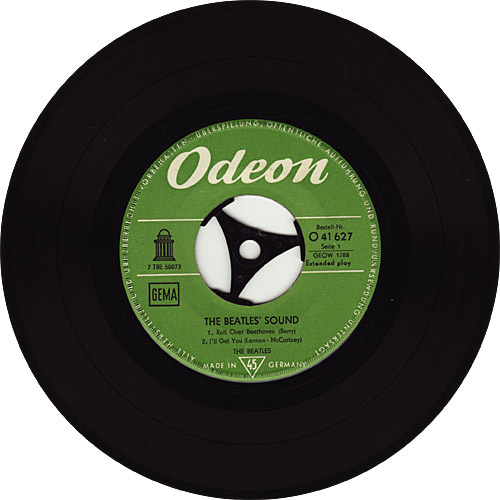 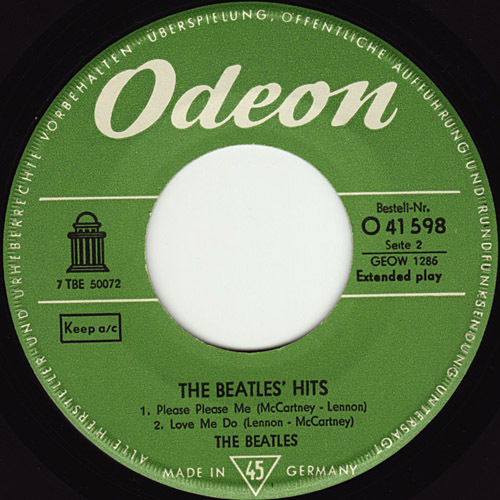 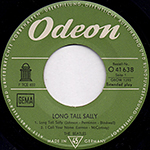 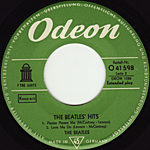 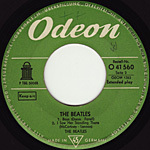 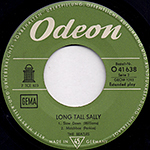 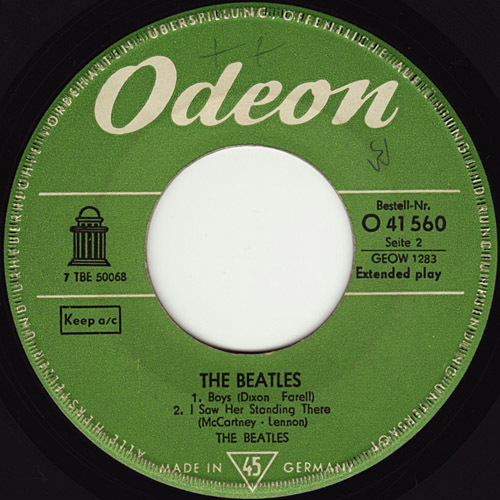 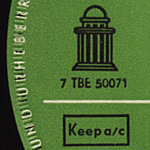 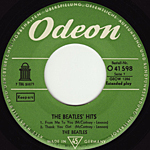 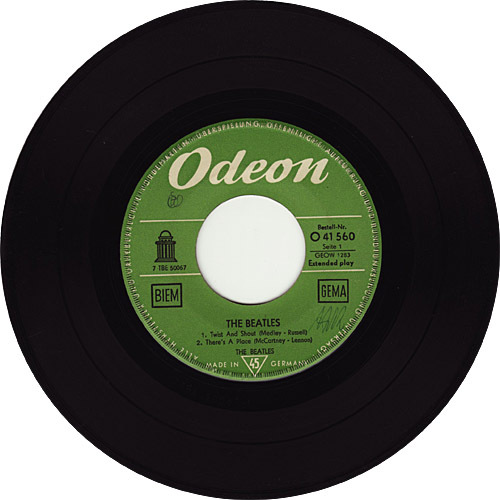 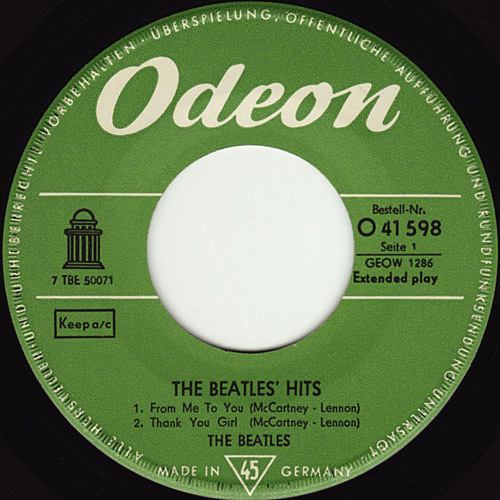 Records with "Alle" as the first word of the rim print were issued by German Odeon until mid-1966. 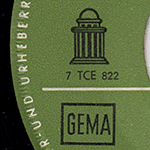 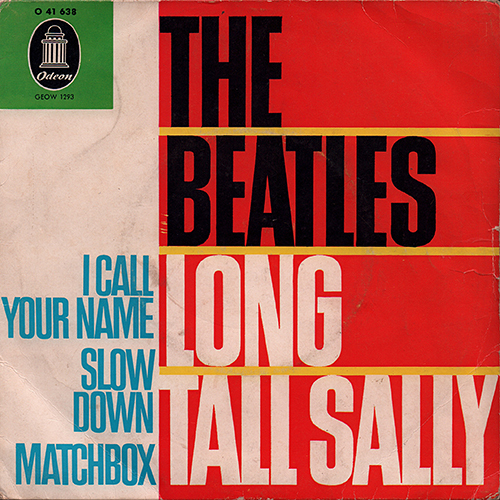 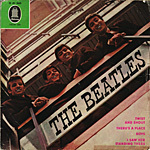 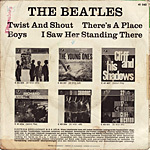 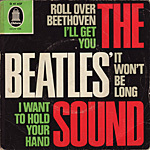 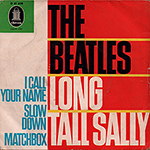 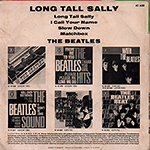 EP's from 1964-1967 normally feature an LP-size label. 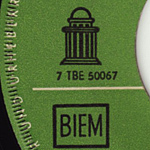 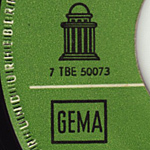 Since this label is "too large" for the space alloted to it on a 45, the label is glued over the top of the EP's "ridges". 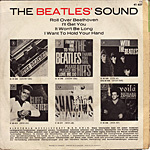 Earlier EP's are found in mono. 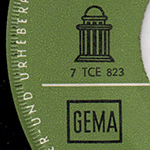 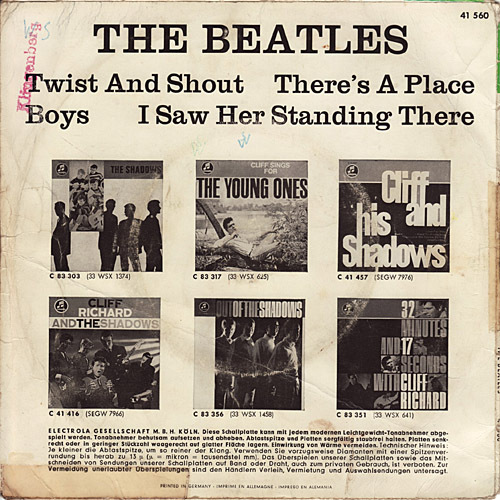 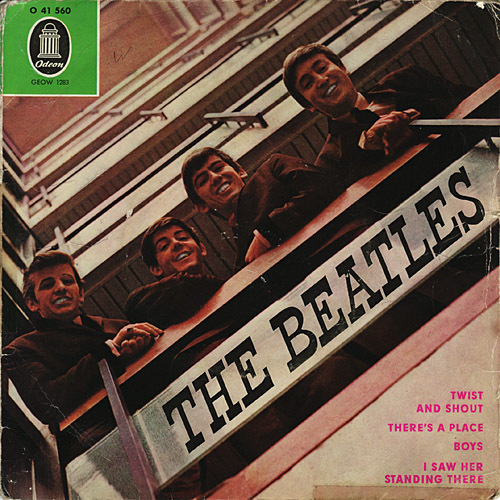 Later EP's appear in stereo, with "STEREO" in black on a white rectangle. 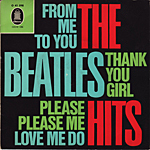 The only EP to have come out originally in the Urheber style is Magical Mystery Tour. 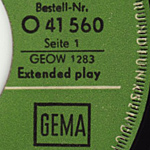 The word "stereo" on this EP is not found on a white rectangle. 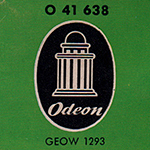 Odeon logomrk and catalog No. 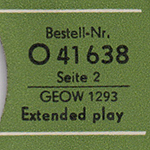 "O 41 598" were printed at the upper corner of the front cover. 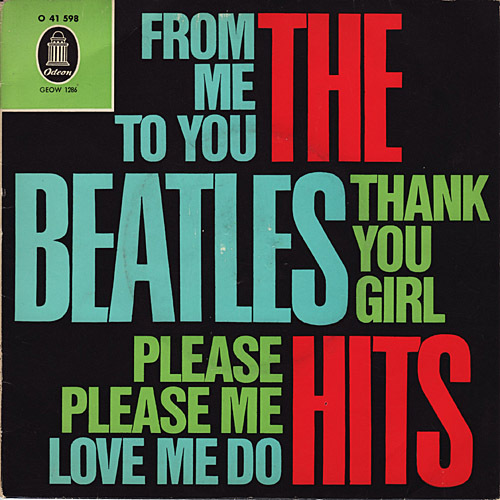 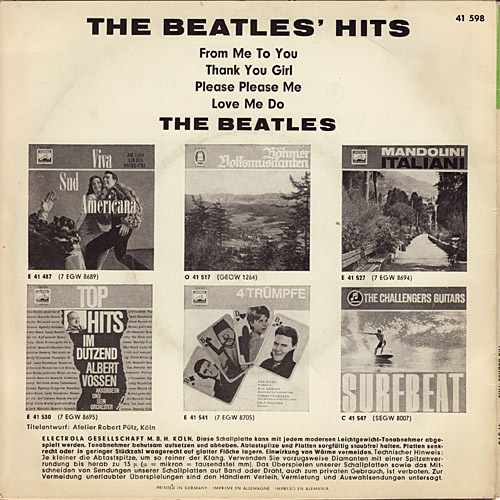 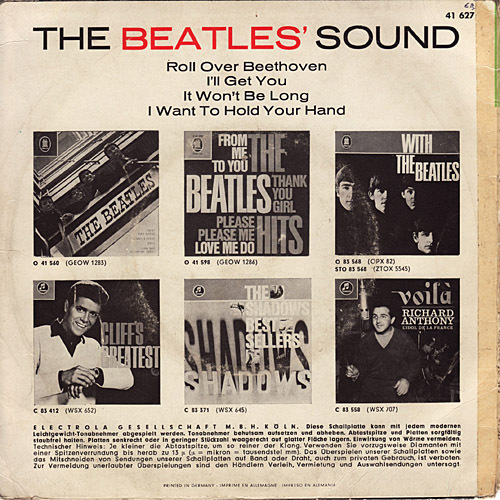 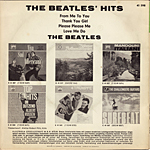 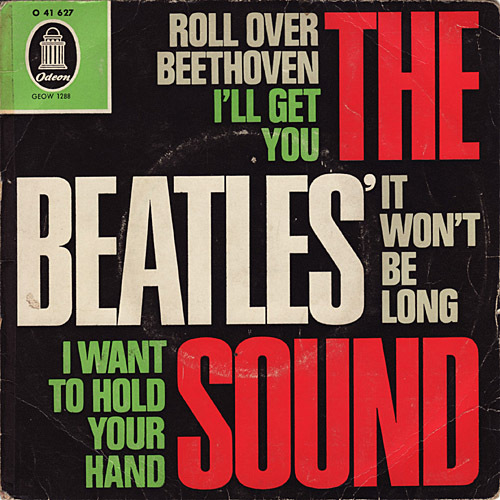 Credited to song writing "McCartney-Lennon" except "Love Me Do". 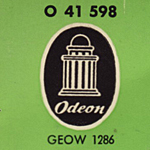 Odeon logomrk and catalog No. 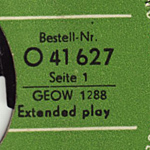 "O 41 627" were printed at the upper corner of the front cover. 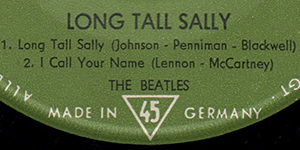 Credited to song writing "Lennon-McCartney". 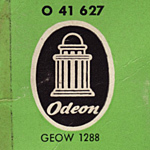 Odeon logomrk and catalog No. 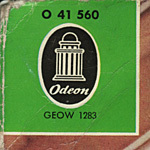 "O 41 638" were printed at the upper corner of the front cover. 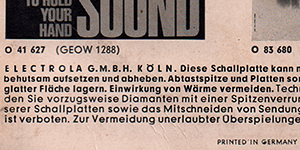 The credit "PRINTED IN GERMANY" was printed at the bottom of the back cover. 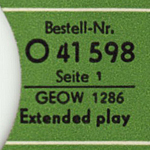 Catalog number "O 41 638" was printed at the right side of the label.